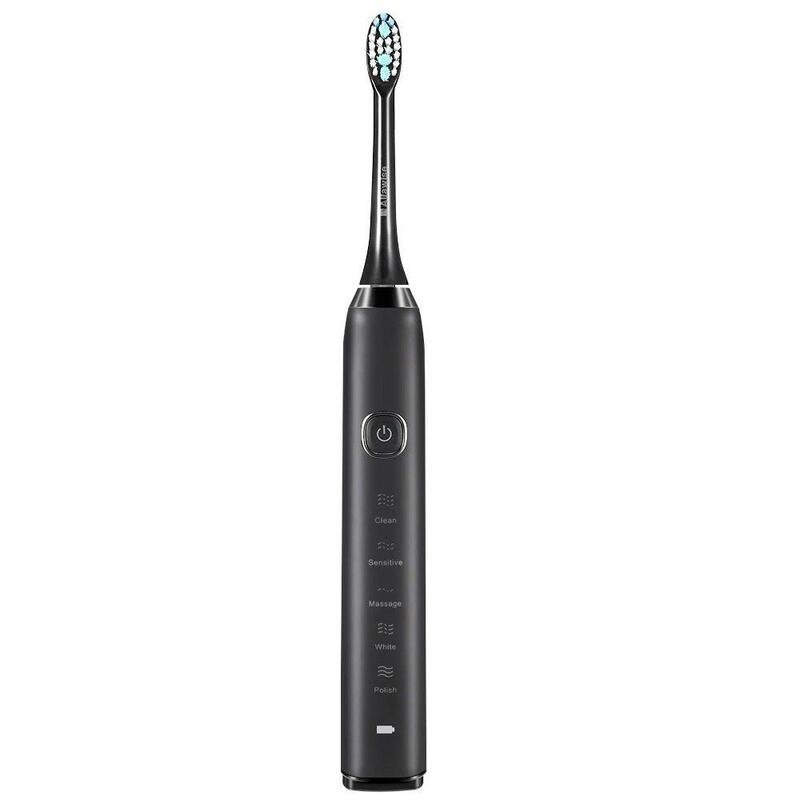 Alfawise S100 Sonic Electric Toothbrush - BLACK w cenie $19.99 | Chińskie kupony rabatowe, zniżki i okazje! TheAlfawise S100 Sonic Electric Toothbrush has been carefully designed to offer you and your family a new and unique brushing experience, which is safe and effective with Clean, Sensitive, Massage, White, Polish brushing modes for various oral care needs. Highlighted by the high-density DuPont nylon bristle head, this toothbrush provides ultimate cleaning and whitening effects to your teeth and with two minutes auto-timer to reach the proven and best brushing timing. With a waterproof handle, it’s electrically safe and designed for being used in the bathroom.